Welcome to Year 1! We are looking forward to an exciting year that will build upon your child’s wonderful experiences and achievements in Early Years. We aim to make the transition a smooth, happy one and the children will continue to access a rich environment that stimulates their curiosity and learning. As the first term progresses they will begin to work in a more structured setting, with inspiring, relevant topics that engage and motivate them. Communication between home and school is key and we look forward to working closely with you to ensure your children have a successful year. Miss Swain teaches at the beginning of the week; Monday to Wednesday am and then Mrs Magwidi completes the week; Wednesday pm to Friday. We work extremely closely, and communicate almost daily about the class, with a full handover each Wednesday lunchtime. We also take our PPA (Planning, Preparation and Assessment) time together and work closely to plan for the needs of your children. Mrs Shinkfield and Miss Bevis will be with us throughout the week. In Year 1 we are lucky to have Mrs Fordham covering our PPA time every alternate Wednesday. She worked with your children last year and is looking forward to continuing this. 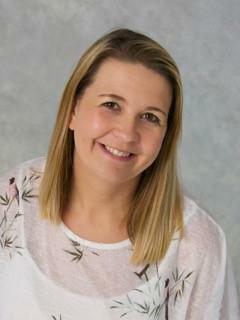 She also liaises closely with our team about the children’s needs and learning to ensure continuity. In Year 1, each child will have their own special ‘show and tell’ week called ‘Wonderful World of Me’. They will be asked to bring in some special items to talk about. These could be photographs of family members and special events, meaningful toys, sporting achievements or items that reflect their hobbies or interests. It is up to you and your child how you present this. Your child will have the opportunity to talk to the class about the things they bring in. They will then be displayed in the classroom for the week. Please be aware that items may be looked at by other children and therefore should not contain anything valuable or irreplaceable. We encourage children not to bring in things from home until it is their ‘Wonderful World of Me’ week. However, if they would like to share something specific to our topic then they may bring this in on a Thursday for our topic session. We will be sending out your child’s allocated slot in the first week of school. Reading continues to be a crucial part of your child’s learning and it is important that they read daily, or as regularly as possible, to help build their confidence and fluency. It is also important to share stories with your child and ask them questions about what they have listened to. There are reading certificates to earn for the number of times your child has read so don’t forget to record when they have read in their reading record. Your child will read twice a week with an adult and their books will be changed during these times. Please ensure your child’s book bag and reading record is in school every day. They will also have words sent home that they will need to learn to read and spell, once a week an adult will check these and send home new ones when required. Please come and see us if you would like any more guidance or have any questions. In Year 1 the development of both your child’s fine and gross motor skills are crucial to all areas of their learning. We participate in games, gymnastics, athletics and dance and we provide a range of fine motor activities within the classroom and during our weekly handwriting sessions. It is essential that your child brings in their PE kit for the lessons so that they can be fully involved. Please make sure that your child brings in a labelled t-shirt, pair of shorts and plimsolls or trainers to every PE lesson in a labelled PE bag. They can keep their PE kit at school in between lessons. Our PE days are Monday and Friday. Alongside your child’s reading and spelling homework they will be given fortnightly maths challenges to complete. These will reflect our current learning. A final reminder - please name all belongings! As a team we try our best to support your child in looking after their belongings, however if they are not named it can make the task very challenging. Please also remember in Year 1 we have the outdoor area open in most weathers so please make sure your child has the appropriate footwear and clothing. We are delighted to be part of your child’s continuing school journey and look forward to an exciting, successful year. Miss Swain and Mrs Magwidi.